This dish is full of cheesy, tomato-y pasta – and honestly, what else is there when it comes to comfort foods like casseroles? It’s also easy to throw together and the egg noodles turn out perfectly, neither crunchy nor gooey. This is a conversion of a pre-gf recipe. We finally found gluten free egg noodles the other day (at Home Sense of all places) so that we could enjoy it once again! Brown the ground beef in a fry pan. While cooking, combine cooked ground beef, corn, tomato sauce, garlic powder, onion powder, sugar, ketchup, hot pepper flakes if using, salt and pepper in large bowl. Drain the pasta and add to tomato mixture. Mix to combine. Pour the pasta and tomatoes into a large casserole dish, cover and bake for 45 minutes. Remove the cover and leave in oven until the cheese is bubbly. 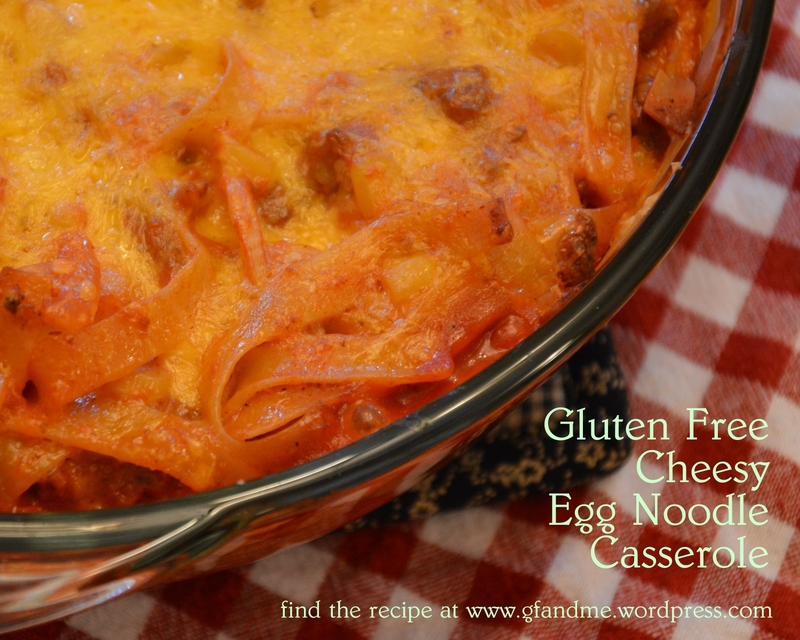 This entry was posted in Lunch and Dinner, Recipes and tagged casserole, comfort food, gluten free, pasta. Bookmark the permalink. YUM! I’m going to find myself some egg noodles and make some carbonara I’ve been craving! Thanks for the tip. Wow! That looks fantastic ! Thanks! I believe you made it first!